Do you enjoy cooking? Would you like the chance to get to know some of our college students? Then, you should plan to join us for our Thursday Cook with PCM program! Allow students to get to know some of the many people who are part of congregations who faithfully support this ministry. This is not a “cook a meal and drop it off” kind of program. Those who participate will experience a Thursday afternoon cooking session and early evening meal right alongside the PCM students! 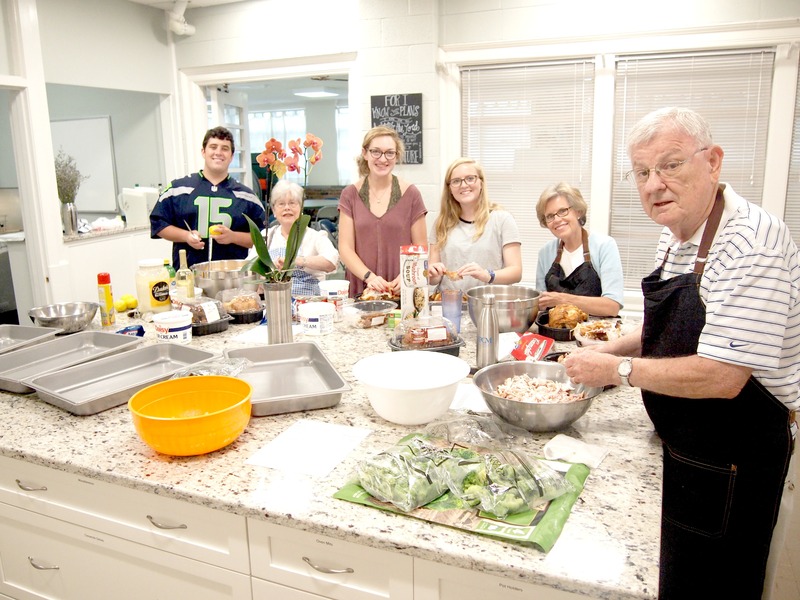 The commitment is usually from about 4:30-7:00 p.m. From 4:30-6:00, you’ll prepare the meal with students, and you’ll enjoy the meal together at 6:00 p.m. Each Thursday, our kitchen coordinators and student volunteers prepare a meal for about 60 hungry college students. Along with helping prepare the meal and staying for dinner, you’ll assist students in coming up with a meal plan (within a specified budget). The students will do the shopping. It’s truly amazing the tasty and satisfying meals you can create for about $4.75 per person! This year, it’s worked out well for church members to sign up together, such as a couple or a few friends, so you have someone you know to share this experience with. Please email John Rogers at jrogers@upcch.org to sign up. The slots fill up fast, and we will offer four additional dates in the spring semester. Thank you for considering this unique opportunity for multi-generational fellowship!